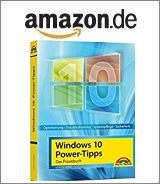 [German]Microsoft has released update KB3211320 for Windows 10 Version 1607 on January 24, 2017. Again this update is still undocumented and suspicious. Here are a few details. Addendum: Microsoft has released a KB3211320 description yet – it’s a servicing stack update – some assumption made below are wrong. I haven’t recognized this update until I stumbled upon a German deskmodder.de blog post. The update is released on January 24, 2017 (Microsoft Update Catalog says 01/23/2017). Update details says “install this update to fix issues with Windows and references to a knowledgebase article that doesn’t exists. The description in Microsoft Update Catalog (tab Package Details) says, the new patch exchanges updates KB3199986 (Servicing Stack Update Oktober 27, 2016) and KB3199209 (Oktober 18, 2016). The screenshot below shows that this update was installed (silently) on January 24, 2017. But update KB3213986 (released January 10, 2017) has been installed on January 25, 2017. Don’t know, why the update released on early January was installed after the yesterday update. Because there are not details provided from Microsoft, some sites was pointing to Microsoft Security Bulletin Summary for January 2017, where a critical update for Microsoft Edge (3211320) was named. But it seems that the association of the number 3211320 to KB3211320 is wrong. Microsoft Update Catalog says clearly it’s a package, that exchanges prior servicing stack updates. I’ve downloaded the package from update catalog and have had a brief look at the details. The .mum manifest files says it’s a servicing stack update, and a restart isn’t required. Addendum: The servicing stack update is confirmed in KB3211320 description. But I was puzzled after looking into the windows shown above. Servicing stack updates are normally uninstallable. But update KB3211320 is shown in the uninstall list – and I (wrongly) thought I had seen an uninstall button – but the update is clearly not uninstallable. Overall, there are many questions and Microsoft failed again to deliver a description just in time. Woody Leonhard aked similar questions at InfoWorld. Addendum: Ok, the KB3211320 description is now online (I guess 24 hours after releasing the update). Some damages after installing this update? During writing this blog post, I stumbled upon this Microsoft answers forum thread where users are complaining about that update. One user wrote that he need to re-register Microsoft Office, Excel runs unstable since update installation and Microsoft Edge has no more internet access. Another user lost his pinned icons on taskbar and start menu. Another user wrote that his second monitor did not work after installing this update. Don’t know, maybe bad karma at users side this time. I could not detect similar behavior in my virtual machine. If you have issues with this update, drop a comment. This entry was posted in Update, Windows and tagged Update KB3211320, Windows 10. Bookmark the permalink. After this update no restart was requested. However after the next reset it seems most (may be all) 32 bit software seems to be generated unexpected application errors. Anyone know of a way to roll back this ‘critical’ update? Fixed: Only affected high res graphic programs. Suspected connection to nVidia drivers. Correct: Updating nVidia drivers resolved issues. Ok, if you run into issues, try to use system restore to roll back and block the update re-install. Uninstalling the update is also possible (but not recommended, due to possible side effects – see my link below – obtained from the blog’s Wiki). So… thanks Windows to prevent me from Working on my new brand computer ! After this update, I can’t to use the right button mouse on the file and directory. Crash explorer with Black screen with come back to desktop. Uninstall not is present for the patch. Watchdog violations with every other boot. wireless NIC “cannot connect to network” which is in range, with no driver updates or uninstall/re-install success. System is crawling with CPU use now up to 25% at idle (<10% pre-patch).